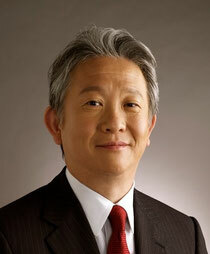 After graduating from Keio University with a bachelor's degree in Economics in 1978, Makoto joined Mitsubishi Corporation's Aerospace Department where he participated in overseas projects, mostly related to importing and selling US aerospace electronic products. In 1986, he became a secretary to the Minister of Labor, and immersed himself in political scene for the next four years. During this time, Makoto studied political and public administration systems, and developed an ability to see issues from both business and political perspectives. He also expanded his personal connections to include public political figures and ministers. In 1990, Makoto joined a Foundation (zaidan hojin) chartered to legislating laws to bring in foreign trainees to benefit Japanese small and medium-sized businesses (SMBs). There, he gained knowledge of legislation process, management of Foundations, negotiation and cooperative work with foreign governments, and managing foreign personnel. Thanks to the variety of experience in this position, he gained invaluable skills in business negotiation and communication. In 2001, Makoto re-joined Mitsubishi Corporation to take part in a start-up, Infosec Corporation, targeting information security business in Japan. He became the CEO of Infosec in 2006. Under Makoto's leadership, Infosec turned profitable in his second year, and people still recall fondly of how he distributed 50% of the profit to all the employees, unheard of in most Japanese companies. In the time when the concept of information security itself was not common knowledge in Japan, Makoto devoted himself to raise awareness, and lead the industry always from the global perspective. Through this experience of managing an organization from the top, Makoto expanded his thinking and views, and strengthened his business and project management capabilities. Also, during this time, Makoto served as a board of trustees of Japan Information Security Audit Association, and greatly contributed to the progress of the industry.